Methodological localism emphasizes two ways in which actors are socially embedded. Actors are socially situated and socially constituted. Socially situated. In any given situation individuals are embedded within a set of social relations and institutions that create opportunities and costs for them. They have friends and enemies, they have bosses and workers, they have neighbors and co-religionists, they have families. All of these relations and institutions serve to constitute the environment within which they make plans and perform their actions. This complex setting of opportunities and regulative systems falls at the center of research for the new institutionalism (Brinton and Nee 1998, The New Institutionalism in Sociology; Ostrom 1990, Governing the Commons: The Evolution of Institutions for Collective Action ). And, as the new institutionalists rightly insist, there are very important variations across social space in the details of the workings of institutions and social networks. Two adjacent California counties may have slightly different rules of livestock liability; and these rule differences will lead to different patterns of behavior by ranchers (Ellickson 1986, "Of Coase and Cattle"; link). We might call this the "structure" factor. Socially constituted. The second form of social embeddedness is deeper and more persistent. The individual’s values, commitments, emotions, social ideals, repertoires of action, scripts of behavior, and ways of conceiving of the world are themselves the products of a lifetime of local social experiences. Individuals are socialized throughout their childhoods and adult lives into specific ways of thinking and acting, and the mosaic of these experiences serves to constitute the moral, emotional, and practical characteristics of the individual’s social-cognitive system. The way the individual thinks about the social world is itself a feature of his/her social setting. Moreover, the mechanisms of socialization—schools, religious institutions, military experience, playgrounds, families—are themselves concrete social phenomena that are amenable to empirical sociological investigation, and they too are locally embodied. If we want to know why affluent Pakistani teenagers applauded on Facebook the murder of Punjab Governor Salmaan Taseer for his opposition to harsh blasphemy laws, then we need to look in detail at the ways in which the political and religious attitudes of this segment of Pakistani society took shape (link). We might call this the "identity" factor. These two aspects of embeddedness provide the foundation for rather different kinds of social explanation and inquiry. The first aspect of social embeddedness is entirely compatible with a neutral and universal theory of the agent -- including rational choice theory in all its variants. The actor is assumed to be configured in the same way in all social contexts; what differs is the environment of constraint and opportunity that he or she confronts. This is in fact the approach taken by most scholars in the paradigm of the new institutionalism, it is the framework offered by James Coleman in Foundations of Social Theory, and it is also compatible with what analytical sociologists refer to as "structural individualism". It also supports the model of "aggregative" explanation -- explain an outcome as the result of the purposive actions of individuals responding to opportunities and constraints. The second aspect, by contrast, assumes that human actors are to some important degree "plastic", and they take shape in different ways in different social settings. The developmental context -- the series of historically specific experiences the individual has as he/she develops personality and identity -- leads to important variations in personality and agency in different settings. So just knowing that the local social structure has a certain set of characteristics -- the specifics of a share-cropping regime, let us say -- doesn't allow us to infer how things will work out. We also need to know the features of identity, perception, motivation, and reasoning that characterize the local people before we can work out how they will process the features of the structure in which they find themselves. This insight suggests a research approach that drills down into the specific features of agency that are at work in a situation, and then try to determine how actors with these features will interact socially and collectively. 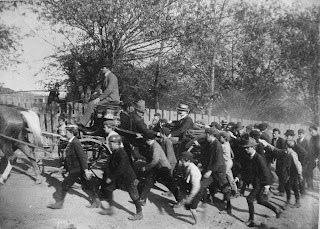 Now suppose we are interested in working out the likely consequences of a certain social situation -- let us say, a call for a workers' strike in resistance to the company's cutting wages. Mancur Olson's classic argument in The Logic of Collective Action considers exactly this kind of case based on assumptions reflecting the first form of agency, and he concludes that collective action will fail. So the prediction is that the call for a strike will fail. But what if a significant number of workers are type-3 actors? In this case the likelihood of successful collective action is much greater, because organizers can demonstrate that all workers are better off if the group maintains solidarity, and that it is unfair to withhold support while others are coming forward. This argument doesn't affect the type-1 actor; but it does motivate the type-3 actor. The deadline for paper and/or panel submissions is February 15, 2013. The members of the Social Science History Association share a common interest in interdisciplinary and systematic approaches to historical research, and many of us find the SSHA one of the most stimulating conferences that we attend. 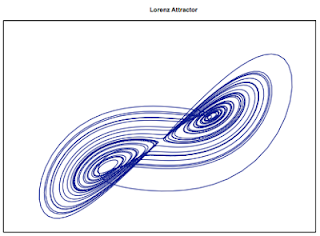 The thematic topic of the 2013 annual meeting is “Organizing Powers” – a theme that works very well with the research interests of many of the scholars involved in the Macrohistorical Dynamics network. Macrohistorical Dynamics (MHD) is an interdisciplinary social science research field that focuses on problems of large-scale, comparative historical inquiry. 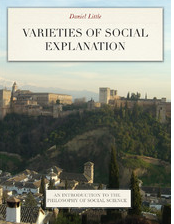 Contributors to the field have brought perspective on a wide variety of problem areas, including macro- and historical sociology; comparative histories; world history; world-system analysis; comparative study of civilizations; philosophy of history; and studies of long-term socio-ecological, technological, demographic, cultural, and political trends and transformations. The Macrohistorical Dynamics network brings a rigorous perspective to bear on questions having to do with “large” history. • Theory in Macro-history: Are There Successful Macrosociological Theories? The list of MHD panel themes for 2013 is open, and we encourage you to submit proposals for paper topics or panel themes. The MHD network will be able to host at least six panels in 2013 and will also be able to place additional papers through co-sponsorship with other networks (for example, with History/Methods, Politics, Culture, State-Society, Historical Geography, etc.). The online system is now accepting submissions. If you have any questions, please contact either of the MHD co-chairs (Peter Perdue, James Lee, Dan Little). NOTE: There is an SSHA rule concerning book sessions. For a book session to proceed, the author (or at least one of multiple authors) MUST be present. Proposals for book sessions should only be submitted if there is high confidence that the author will be able to travel to Chicago November 21-24, 2013. SSHA has set up a mechanism for networks to share papers, so even if you have a solo paper, send the idea along. It is possible and useful to identify a paper not only by the MHD network, but also by some other co-sponsoring networks--for example, Theory/Methods, Historical Geography, Politics, Culture, Economics, etc. Co-sponsored panels and papers are encouraged by the SSHA Program Committee as a means of broadening the visibility of the various networks. I had the opportunity to have lunch with Mayer Zald in July last summer, a few weeks before his death. Our conversation was wide-ranging, but one segment in particular warrants publishing here. In this segment I asked Mayer how he thought about the connections among social psychology, organizational behavior, and social movements theory in the development of his thought. The clip offers some interesting insights into the contingencies that occurred early in the career of this path-breaking sociologist to move his level of focus from the micro-level of social psychology to "meso"-level social phenomena like organizations. (The value of meso-level research comes up repeatedly in the conversation.) The clip provides a good example of Mayer's incisive mind, good humor, and sharp ideas about sociological thinking. Mayer Zald helped to shape the field of organizational behavior in the United States, beginning with his time as a faculty member at Vanderbilt and continuing through his long career in sociology at the University of Michigan. In 1971 he published an early version of some of his thinking on this subject in a short book, Occupations and organizations in American society: The organization-dominated man?. Zald received his PhD from Michigan in 1961, so this book reflects his thinking and state of development during the first decade of his professional career. One thing that this passage calls out to me is an emphasis on fluidity and heterogeneity in basic social institutions. There are pulls and pushes that change institutions and practices over time, and they work through the activities of various of the actors involved in the system at a given time. This has a lot in common with the very recent ideas about "strategic fields" that McAdam and Fligstein have been developing in A Theory of Fields (link). Much of the focus of Zald's book is on the professions -- the ways in which professions are shaped and propelled by a variety of forces within a given political economy. His work on this question pre-dates Andrew Abbott's The System of Professions: An Essay on the Division of Expert Labor by seventeen years (link); and though it isn't as detailed a study as Abbott's, it certainly contains many interesting insights into the topic. Here are the benchmarks that he singles out as important markers in the emergence of a profession: date of becoming a full-time occupation, first training school, first university school first local professional association, first national professional association, first state license law, first code of ethics. And he expects these to occur in roughly the chronological order in which they are listed. It is worth reflecting on the conjunction that Zald brings together in this short book: occupation and organization. The connection between these two concepts isn't entirely obvious; one has to do with specializations of work, and the other has to do with the social systems through which activities and work are conducted. So why are they conjoined here? For example, a band of pirates is a small organization with direct control and supervision exerted by the pirate captain and with a small list of specialized functions: scan the horizon for prey, load the ammunition, attack the ship, distribute the booty, keep order among the pirates. But as scale increases, more complex social mechanisms are needed to maintain coordination of behavior by subordinates and to maintain effective exercise of the purposes of the organization. A manufacturing company with multiple factories requires a variety of kinds of specialists: engineers, designers, factory managers, auditors, tax specialists, marketing specialists, sales representatives. These are specialized "occupations" within the organization; and they require specialized forms of oversight and control if the specialists are to be expected to carry out their functions in the interest of the "management" (the guiding purposes of the organization). 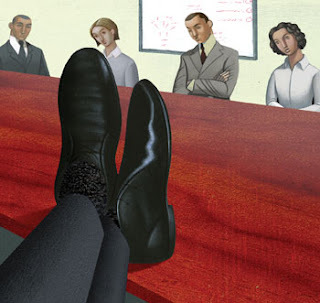 The idea of a principal-agent problem is central here: how does the central management ensure that its agents are performing their duties in ways that conform to the organization's goals, rather than using their positions to improve their own interests? What is a bureaucracy? A bureaucracy is a particular kind of organization; but what kind? Zald gives a simple definition: "the archetypical bureaucracy controls through rules and hierarchical supervision" (36). So codified rules and a well defined authority structure are key components of a bureaucracy. It would appear that these features make innovation and creative responses to changing circumstances more difficult than they would be in a more opportunistic and fluid kind of organization. A more cellular form of organization, with an alignment of goals and values across cells but substantial local autonomy, seems to be one that has more potential for rapid adaptation to changing circumstances. We can try to apply these ideas in unexpected places. 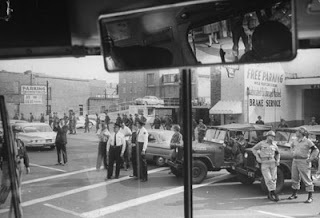 Were the Black Panthers a bureaucracy, with central management in Oakland and a set of inspectors and enforcers who visited the "franchises" in Chicago or Detroit? Or were they more of a viral organization, with a loose set of shared goals but great diversity of activity, local organization, and effectiveness? What about Al Qaeda or the Taliban -- are these organizations "bureaucracies"? And what about the Occupy Movement? This passage captures many of the aspects of an organization that Zald highlighted -- the need for control of the agents by the principals, the enforcement of rules of behavior within the organization, the need for supervision and oversight, and the need for internal processes of punishment for infractions. So it seems fair to say that the Black Panther Party of the 1970s was indeed an aspiring bureaucracy -- paradoxical as that sounds. Here is another interesting collection on the history of the BPP; Yohuru Williams and Jama Lazerow, Liberated Territory: Untold Local Perspectives on the Black Panther Party. 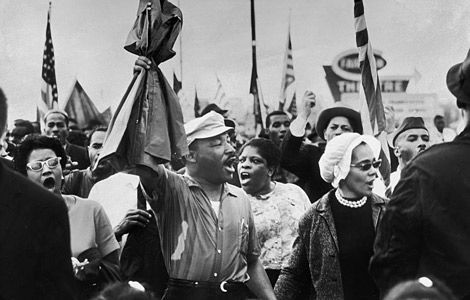 We celebrate the birthday of Dr. Martin Luther King, Jr., on January 21. Here is a curated set of film clips that serve to recall the major challenges of inequality, segregation, and violence that faced the African American community in the Jim Crow racial system of the 1940s and 1950s. These videos capture some of the signal moments in that struggle through the 1960s. 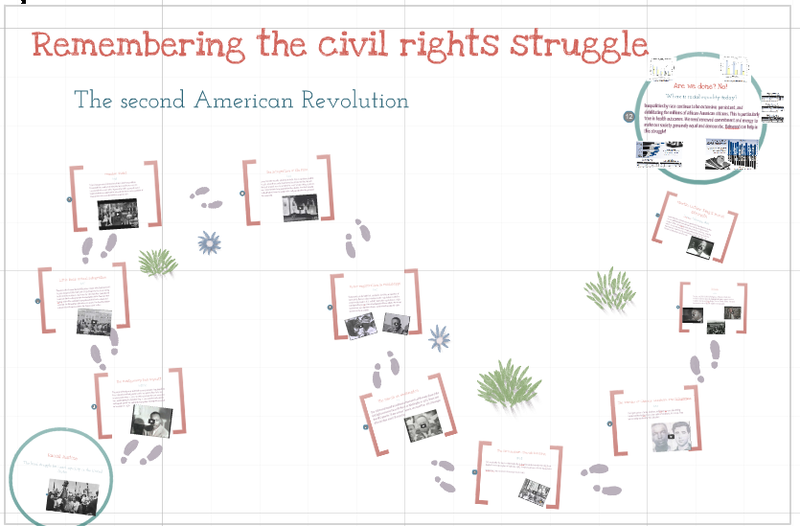 Dr. King's contribution to American history is truly pivotal in this "second American revolution". Here is a Prezi version of this collection; link. I've advocated in earlier posts for two related ideas: the idea of actor-centered sociology and the idea of methodological localism. The first idea recommends that sociologists couch their research and theories in terms of more specific and nuanced theories of the actors whose thoughts and actions make up the social processes of interest. The second idea is an alternative to the equally unappealing doctrines of methodological individualism and holism. According to methodological localism, the "molecule" of the social world is the socially constituted, socially situated actor in ongoing relationships with other social actors. This is a conception of social reality that is social all the way down; it conceives of the individual actor within a set of social relationships as the basic unit of social phenomena. Examination of some important work in sociology and neighboring fields in the past several decades shows that the actor-centered approach corresponds pretty well to the research approach taken by a number of innovative investigators. Here are a few examples: C. K. Lee, Against the Law: Labor Protests in China's Rustbelt and Sunbelt; Michael Mann, The Dark Side of Democracy: Explaining Ethnic Cleansing; George Steinmetz, The Devil's Handwriting: Precoloniality and the German Colonial State in Qingdao, Samoa, and Southwest Africa; Al Young, The Minds of Marginalized Black Men: Making Sense of Mobility, Opportunity, and Future Life Chances; Elinor Ostrom, Governing the Commons: The Evolution of Institutions for Collective Action. Each of these research projects makes significant use of more nuanced theories of the actor as an important part of the analysis and explanations offered. These examples validate the usefulness of several of the key imperatives of the doctrine of methodological localism: in particular, emphasis on the centrality of the socially situated and socially constructed actor within more complex social processes. Methodological localism implies that we need to be cautious about over-simplifying the mentality of the actor—not simply a utility maximizing egoist, not simply a norm-driven robot, not simply an adherent of a religious worldview. Instead, it is often useful to pay attention to the details and the differences that we find in the historical setting of important social processes and outcomes and the forms of mentality these create: the specific forms of education received by scientists, the specific social environment in which prospective administrators were socialized, the specific mental frameworks associated with this or that historically situated community. These details help us to do a much better job of understanding how the actors perceived social situations and how they chose to act within them. And likewise, it is often useful to pay attention to the regulative and incentive-generating context within which actors constructed their actions. This is the role that the intellectual and policy field plays in Steinmetz’s account; it is also the role that specific property and contract arrangements play in the new institutionalism and Elinor Ostrom. And both Bourdieu and the new institutionalists are right that small differences in the institutional setting can result in large differences in outcome, as actors respond to institutions and incentives to pursue their ends. So paying close and detailed attention to the particulars of the institutions of career, economic opportunity, family, power, and prestige allows us to perceive the causes of important differences in outcomes. In short, it seems that sociology has a lot to gain by paying more attention to the specifics of the actors whose thinking and actions constitute the social processes of interest to them. This advice does not imply reductionism; it is entirely legitimate for sociologists to make use of causal claims at a variety of levels. But it does imply that there is substantive and valuable work to be done in almost every field of sociology at the level of the actor. Sociology gains when researchers attempt to gain a more nuanced understanding of the constitutions and situations of the actors with whom they are concerned. To be sure, not all research in sociology takes this approach. And in fact there is very good recent work in sociology that doesn't pay much attention to the actor. A good example of this category is Robert Sampson's Great American City: Chicago and the Enduring Neighborhood Effect. Sampson's approach has everything to do with the behavior of particular actors in particular circumstances. He wants to show that we can identify certain patterns of causation that exist in urban street-scapes that are amenable to quantitative investigation. But his research is not particularly socio-ethnographic; no interviews, no attempt to capture the states of mentality of the urban young people who make up the neighborhoods he studies. The level of analysis that he has chosen is largely higher than the individual actors -- the meso-level environmental and organizational features that appear to have an effect on collective behavior. And one of his main methodological contributions is to oppose the idea that urban phenomena can be derived from facts about the individuals who make up a neighborhood or city. So Sampson's research and explanations are evidently not "actor-centered." But I think that Sampson's work is compatible nonetheless with the thesis of methodological localism, though this is less clear. Sampson insists that the neighborhood-level characteristics have causal consequences that do not disaggregate into individual-level patterns. But this can be understood in the "relative explanatory autonomy" interpretation offered elsewhere (link): microfoundations exist for these effects, but it isn't necessary to trace them through in order to validate the causal linkage at the neighborhood level. These observations suggest that the status of these two big ideas is rather different. The idea of "actor-centered" sociology shouldn't be understood as a general prescription for all sociological research, but rather as simply a promising line of investigation as we try to shed light on various social processes and outcomes. The idea of methodological localism, on the other hand, is a fairly general ontological claim about what the social world is made up of, and it is intended as a general premise for how we think about all social phenomena. It doesn't entail a particular theory of explanation, but it does provide a general account of the constitution of social phenomena. And it has implications for how we should think about the micro-composition of social causation. If we want to have a more adequate theory of the actor (link), we need to broaden our understanding of the factors and capacities that affect action. The categories of personality and character are both relevant to the ways in which we understand how people behave in ordinary and extraordinary circumstances. So a theory of the actor ought to have a place for these concepts. How are these concepts related? Both have to do with persistent features of behavior, but they seem to have somewhat distinct domains and have been approached by widely separated disciplines. In particular, character seems to be morally charged in ways that personality is not. Here are some examples of characteristics that seem intuitively to fall into the two categories. Both sets of characteristics go beyond (or below) rational calculation and utility. (In fact, we might say that the purely rational individual lacks both personality and character; his/her actions are dictated by current estimates of costs and benefits of various lines of action.) Both personality and character have to do with features of behavior that are non-purposive to an important extent. They have to do with who the actor is, not so much with what he/she wants to accomplish. Rational calculation is sometimes at odds with some of these features -- sometimes principles and commitments stand in the way of self interest, so character dictates a different course of action than prudence. Personality falls within the domain of empirical psychology. There is a long tradition of research and theory in the area of personality psychology. 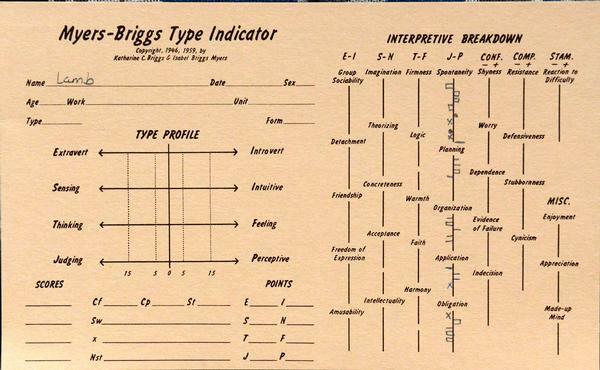 Psychologists seem to favor to use the vocabulary of "personality traits" (Jerry Wiggins, "In Defense of Traits," Handbook of Personality Psychology, edited by Robert Hogan et al). And a central goal of personality psychology has been to discover a taxonomy of personality types that allow classification of all normal human beings. 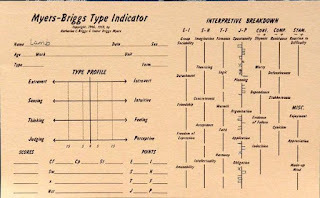 Along with such a taxonomy, the discipline has sought to create measurement tools that permit application of the scheme to ordinary human subjects. The study of character has tended to be a preoccupation of philosophers, who approach the question in a more theoretical and apriori way. 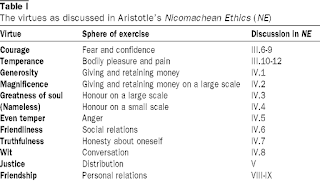 Philosophers extending back to the ancient Greeks have attempted to identify the features of a person's inner life that enhance or diminish the person's moral worthiness. Part of the moral connotation of features of character is captured in the linguistic fact that many of the features we attribute to character are virtues (or vices). We praise people who possess a number of virtues, and we criticize them if they lack these virtues (or possess the contrary vice). 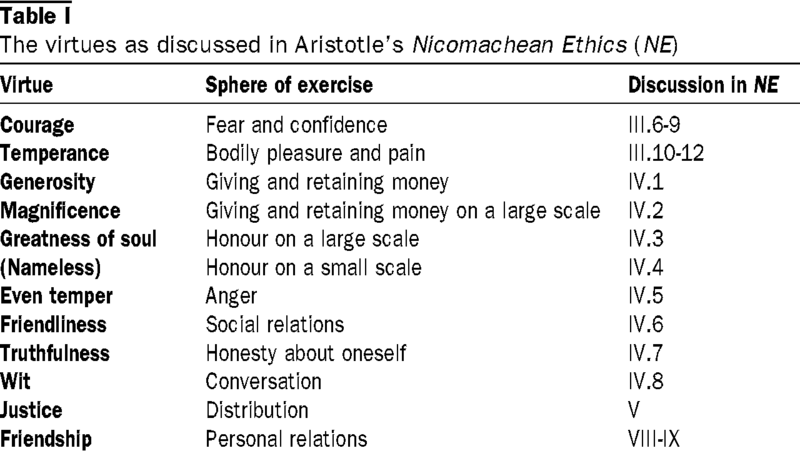 This field of study might be called "moral psychology," but it has tended to be non-empirical. In the past two decades there has been a degree of convergence between the empirical study of behavior and the philosophical study of moral decision making, in the topic area of evolutionary moral theory (Moral Psychology: The Evolution of Morality: Adaptations and Innateness (Volume 1), Moral Psychology: The Cognitive Science of Morality: Intuition and Diversity (Volume 2)). There is academic and popular disagreement about the degree to which personality traits are acquired or innate. Some argue, along the lines of the sociobiologists, that at least some features of social behavior are controlled by our evolutionary history. The underlying rationale for this hunch is the likelihood that personality traits have effects on reproductive success; individuals who have traits that allow them to be more successful in eliciting cooperation from others are more likely to reproduce successfully. (This is the underlying thought in Allan Gibbard's Wise Choices, Apt Feelings: A Theory of Normative Judgment.) And others maintain that the individual is highly plastic at birth, so the developmental environment is the primary causal factor in the development of personality. We might try to draw a distinction between personality and character along these lines. Personality has to do with the psychological "hardware" with which the individual is equipped. Just as a snappy Mustang has great acceleration and so-so gas mileage (determined by the organization of its component systems), some individuals have affable, agreeable interactions with other people (determined by the organization of their affective systems). Character has to do with moral capacities in embodied human beings: the ability to keep a promise, tell the truth, or stand resolute in the face of threat. Character has to do with the ways we conceive of ourselves and sculpt our actions to fit our expectations; personality has to do with reactive features of our psychological systems. And here is another possibility that might be considered: character traits (courage, truthiness) are themselves traits of personality. They are not a different psychological category. But not all personality traits have to do with character. Moreover, we might speculate that character traits have the additional feature that they can be deliberately cultivated, by oneself and by others. This approach has the advantage of simplifying our theory of the mental by one degree of complexity. Whether we are interested in personality or character is primarily a question of methodological perspective rather than mental ontology. We often think that some historical periods have deep effects on the personalities and character of individuals who came of age and lived adult life during those periods. This implies that specific cohorts of people may have distinctive personality features that differ from people of other generations, distinctive features of character. This seems to be the thrust of the idea of the "greatest generation", the Depression generation, and the Sixties Generation. 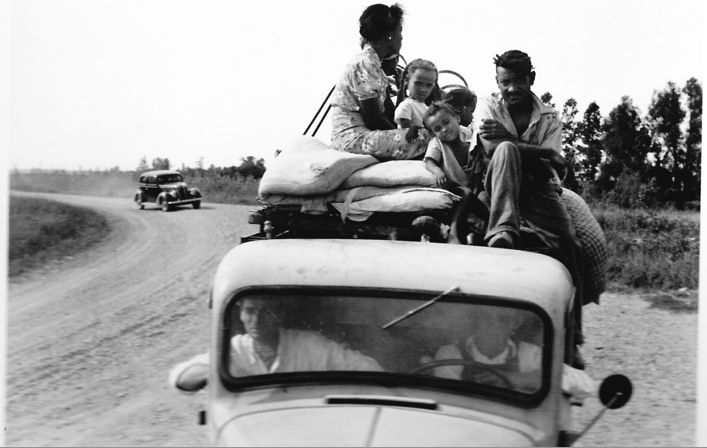 The experiences of World War II, the Great Depression, and the protests of the 1960s had profound effects on the expectations and habits of action of many of the people who lived through these experiences, as we see from conversations with survivors of those times and the literature it produced. And, we might say, the people who came of age through those periods were very different in their most fundamental psychological makeup from those of other periods. This is a common way of speaking; but it has major consequences for how we think about "human nature" and human psychology. Universalists like Vico held that there was one fundamental human nature, and all historical circumstances do is alter some of the beliefs and habits of action that people possess (Vico: The First New Science). Historicists have believed since Herder, by contrast, that the human self was fundamentally historically conditioned and created; different historical circumstances make different kinds of actors (Another Philosophy of History and Selected Political Writings). And to accept the language of "generation X" or "generation Y" is to tilt towards the historicist position. There are a couple of questions that arise quickly when we think about the possibility of historically created generational differences of character and personality. 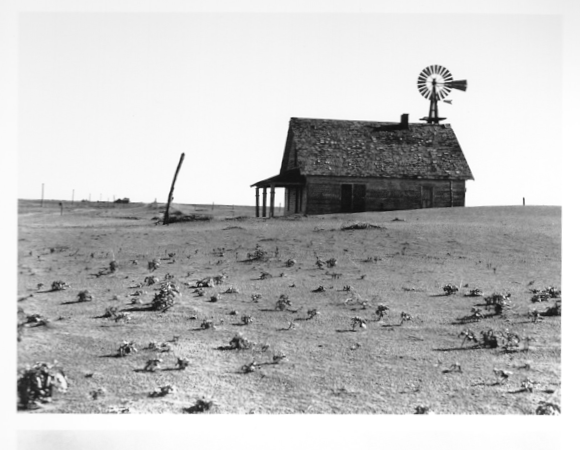 One has to do with the mechanism of influence: how would the fact of growing up in the Great Depression or serving in the Pacific in World War II have an effect on the actor at the level of perception, expectation, and habit? A second important question has to do with the pervasiveness and consistency of the effects we are considering. And a third question is internal to the person -- what features of experience, consciousness, and agency are thought to be affected by historical experiences? So what mechanisms might create the generational effect on character? Take the Great Depression in the United States in the 1930s. Most families experienced serious, prolonged economic hardship -- loss of jobs, loss of savings, loss of homes, and sometimes the breakup of families. This was most intense for people on the margin -- the sharecroppers in Oklahoma who took to the road during the Dust Bowl in Dorothea Lange's wonderful photographs above, for example. But it was true for working families, service providers, and street car drivers as well. This is one level of the experience. A second level is the generalized stress and sense of crisis that was conveyed everywhere one looked -- newspapers, radio, the sight of Hoovervilles on the outskirts of cities. So even if a particular family hadn't yet been touched by unemployment or bank collapse, there was the pervasive sense that nothing was secure. And it seems credible enough that these pervasive existential characteristics of a given decade or two would have important consequences for the consciousness and agency of the individuals who lived through them. 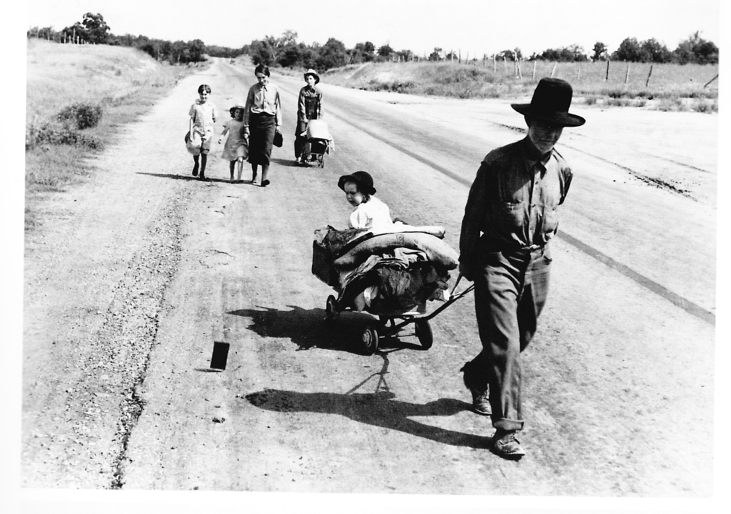 So we might speculate that the trauma of a family's sudden impoverishment, and the general stress of prolonged fear of impoverishment even if the shoe never dropped, had a powerful effect on the children and young people who lived through those times. Perhaps it made them more risk-averse; maybe it made them less trusting of authority and institutions; perhaps it made them more prone to depression and addiction; perhaps it made them more understanding of outlaws like John Dillinger and the Shelton Boys (link). But speculating isn't nearly as useful as empirical research. Are there research threads in personality psychology and social psychology that would shed light on this kind of question? There certainly is research on the personality effects of trauma (link, link, link). 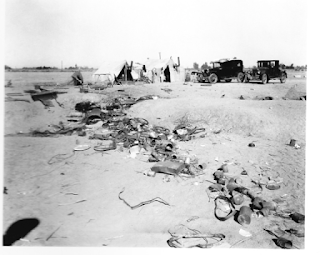 Other researchers have studied children who lived through conditions of war in the Middle East (link, link). However, each of these areas of research focuses on an aspect of a traumatic person's early history that is more extreme than those that were characteristic for most individuals at most times in history. So is there evidence that less dramatic features of social context can nonetheless create widely spread features of personality and character? I'm not aware of anyone who has attempted to probe this psychological question through interviews with Dust Bowl survivors or people who grew up poor in Chicago or New York in the 1930s; but it would be an enormously interesting effort. The second big question mentioned above is the issue of pervasiveness and consistency. It is apparent that people will be exposed to different experiences within any of these historical periods. And people will be differentially influenced by the experiences they have. So even if there is a generational effect, it will be distributed across the cohort in a range of intensities. And this implies that we should really be framing our question in terms of a distribution of personality and character traits over a diverse population, rather than looking for a single typical profile. The reality might be that the median level of risk aversiveness might be higher for the generation of the Great Depression than the Sixties Generation -- even though there were risk-takers and risk-avoiders in both populations. The third question is interesting as well -- what features of the conscious, feeling, thinking actor do we imagine historical experience to have shaped? This issue was raised in an earlier post about theories of the actor -- what are the components of the actor's mentality (link)? We might think of a long list of mental characteristics that are potentially malleable: ways of making decisions, habits of action and reaction, mental models about how the world works, a toolbox of heuristic strategies for coping with challenges, a set of expectations about how various social settings are likely to work out, some ideas about how other people are likely to behave, memories about past scenarios that worked out well or badly. All of these features are potentially malleable through the process of development, and taken together, they constitute a ver broad and deep set of personal characteristics. So if we concluded that virtually all of these dimensions are potentially shaped by historical experiences, then we seem to have come very close to the Herder position on historicism: the individual is a historically situated and historically constituted being all the way down. Here are a few earlier posts on cohorts and generations in history; link, link, link. The photos are taken from the beautiful book curated by Gilles Mora and Beverly Brannan presenting many of the photos created during the Farm Security Administration project in the 1930s and 1940s. It turns out that there isn't much new in the 1996 chapter, however. In fact, most of its content is taken from his pathbreaking 1962 article, "The Architecture of Complexity" (link). The new chapter 7 and renumbered chapter 8 largely incorporate the content and sometimes the language of the 1962 article. And this is interesting, because it implies that Simon's primary ideas about reduction, composition, and inter-level interactions were largely already formed in 1962. There are a few ideas and themes that are new to the 1996 version. One is a more specific periodization of thinking about complexity theory in the twentieth century. The 1996 version identifies three phases of theorizing about complexity and "whole systems". This "pragmatic holism" is already contained in the 1962 version (link). So this doesn't represent new ground in 1996. But Simon's use of this idea to criticize several false starts in the field of complexity research is valuable. This is a decidedly pre-chaos understanding of the nature of complex systems. I have the impression that many contemporary complexity theorists would reject the idea that social processes are commonly the result of "nearly decomposable, hierarchic structures". So it is a genuine change for the mathematics of chaos theory to be included in the 1996 version. Complexity research has moved forward since 1962, and Simon recognizes this in the 1996 chapter. What we don't find here is any discussion of whether actual social processes and systems display chaotic behavior in this well defined sense. And we don't see Simon shifting his position on "nearly decomposable" systems. Are there examples of social processes and phenomena that display chaotic characteristics over time? Take the occurrence of massive street demonstrations as an example; are there aspects of chaos in the technical sense involved in the outbreak of street mobilization? Do small, apparently random events have large effects on the eventual outcome? It would appear that this is the case when we look at the cases of uprising and passivity in different cities during the Arab Spring of 2011. Some social scientists have tried to understand the likelihood of uprising as an increasing function of economic crisis, regime weakness, and regime brutality. This implies a linear assumption about the causal role of these three forces. But it seems plausible to speculate that random events like a broken phone chain, an Internet outage, or the defection of a key leader could push the process of mobilization into a different direction. Moreover, it seems that contemporary research on social complexity pays a lot of attention to non-linearity, path-dependency, and sequential processes of social mobilization -- leaving a lot of room for the kinds of turbulent effects that are observed in traffic flow, storm generation, and water dripping from a leaking tap. This is the kind of work that is described in Scott Page and John Miller, Complex Adaptive Systems: An Introduction to Computational Models of Social Life. So oddly enough, it seems that one could fairly say that Simon's views of social complexity -- as expressed in the 1996 third edition of The Sciences of the Artificial as well as in his groundbreaking "Architecture of Complexity" in 1962 -- are significantly incomplete, given the way that complexity theorists are now thinking about social processes. Simon did not incorporate the guiding assumptions of "complex adaptive systems theory" into his own thinking, and remained convinced of the adequacy of the ideas of hierarchical systems and nearly decomposable systems as late at 1996. His own approach to social complexity remains a phase two approach, not a phase three approach. Nomenclature isn't everything -- but it is important nonetheless. What we call the areas of research that examine history, action, and social life makes a difference to how we carry out those inquiries. The label "social science" itself is not a neutral one. And alternatives like "behavioral science" have even more baggage. So what is involved in the concept of the human sciences? Most centrally, the idea was that there was a fundamental difference between the sciences of nature and the sciences of human action and interaction, because the former had to so with causation whereas the latter had to do with the interpretation of meaning. The human sciences were thought to be interpretive or hermeneutic at their core. A key task for the systematic study of human affairs was to make sense of the actions and expressions of the people involved. We understand a social fact when we understand the intentions, meanings, and self-understandings of the people involved. 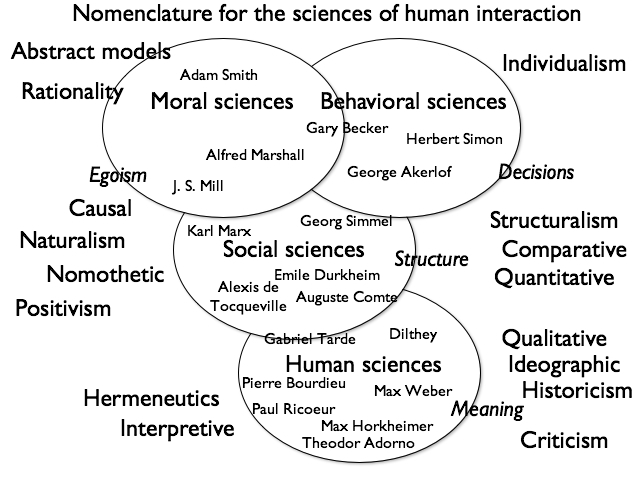 The tradition of the "human sciences" brings along with it the ideas of hermeneutics, verstehen, and critical theory. A second important characteristic of the human sciences is the importance of history. Human beings have histories, and they make histories; and history consists of a fabric of meaningful human actions. At a larger scale, thinkers like Dilthey believed that larger historical movements and outcomes were meaningful as well; so history requires interpretation (link). And attention to history pervades the research and choice of topics of practitioners of the human sciences. As Yvonne Sherratt puts the point in Continental Philosophy of Social Science, "continental philosophy is usually a text-centred, historically sensitive tradition" (2). Finally, the approach taken by advocates of the "human sciences" is decidedly anti-positivist. These social thinkers are not looking for general laws of human behavior; they are not concerned to identify a non-theoretical range of empirical data that would confirm or disconfirm their assertions; and they are not interested in "falsifiability" of hypotheses and theories. The hypothetico-deductive method of confirmation and explanation has no appeal to this tradition. Likewise, this tradition is not particularly receptive to quantitative studies of social behavior; researchers in this tradition are not likely to provide statistical generalizations about a range of social phenomena. This doesn't mean that research efforts in the human sciences are not based on evidence and argument; but rather that what counts as evidence for an interpretation has as much to do with the overall plausibility of the reading as a particular range of empirical observations. 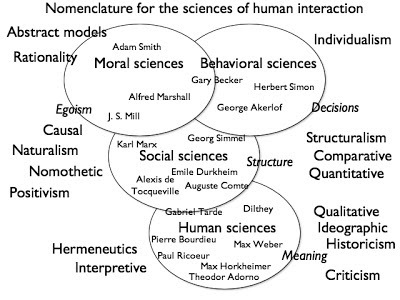 Philosophers and historians in the German tradition continue to favor the approach identified as the "human sciences" methodology, including Gadamer and Husserl. I would also put Ricoeur, Foucault, and Bourdieu within the general scope of this approach. And Sherratt also includes the critical theorists of the Frankfurt School within this tradition as well. World history is more timely today than ever. “Globalization” is almost a cliché, from “The world is flat” to “the homogenization of cultures” to the “commodification of place.” Everyone recognizes the fact of globalization in the contemporary world. But we need to understand the many ways in which many parts of the world were deeply and systemically interconnected long before the post-World War II wave of revolutions in communications networks, rapid travel, containerized shipping, and military power contributed to the current interconnectedness of most countries and peoples. We need a strong historiography for the global world. And we need better and more detailed understandings of the histories of many of the regions of the world, taken in their own terms. To be most productive, however, we need to approach the tasks of global history with some fresh thinking. There are several key points that have emerged as fundamental. The first is to be vigilant about making Eurocentric assumptions about development and change. Whether in the domains of politics, economics, or culture, it is crucial to avoid the assumption that Europe set the model for developments in key areas of historical change. New historiography of Eurasian economic development illustrates the power of an approach that avoids Eurocentrism, including Bin Wong (China Transformed: Historical Change and the Limits of European Experience), Ken Pomeranz (The Great Divergence: China, Europe, and the Making of the Modern World Economy. ), and Prasannan Parthasarathi (Why Europe Grew Rich and Asia Did Not: Global Economic Divergence, 1600-1850). A second is to expect variation rather than convergence. There are many ways that human societies have found to solve crucial problems of coordination, order, production, and the exercise of power. Global historians need to be alert to the development of alternative institutions of politics, economics, culture, or social cohesion in different locales. In particular, it is important to take note of divergences as well as parallels in the political and economic development of great civilizations like those of India, China, Southeast Asia, or West Africa. Third, it is important to avoid the conceptual schemes of nationalism and states. "France," "Indonesia," and "India" are places with diversity and internal variation, and they each followed distinct rhythms of consolidation as states and nations. It is often more revealing to look to regions that cross the boundaries of existing states; we learn much by looking at the dynamics of change in regions that are smaller than nation-states (the American South, for example, as an economic and racial regime that had little in common with Northern cities); and it is sometimes the case that we are best off considering the histories of dispersed peoples and activities (Zomia (James Scott, The Art of Not Being Governed: An Anarchist History of Upland Southeast Asia (Yale Agrarian Studies Series)), diasporic histories (Tai Lands and Thailand: Community and the State in Southeast Asia), bandits (Bandits, Revised Edition)). Fourth, the way in which we consider historical time sometimes needs more critical reflection. Victor Lieberman's focus on the punctuated patterns of consolidation that took place from Burma to Kiev is one aspect of this reflection; the world's clock was synchronized in a pattern that was quite distinct from the internal patterns of change in each of the affected countries. And the historian needs to be attentive to both clocks. Likewise, world historians need to be open to considering temporality on a range of scales -- from the months of the Terror to the decades of contention that preceded and followed the French Revolution, to the century and a half that separated the French Revolution from the Chinese Revolution. Fifth, the global impact of environmental factors needs to be given the emphasis it deserves. Climate change, exhaustion of woodlands, extension of mining and extraction -- all these processes and factors influence human activity at a range of levels, and their impact needs to be assessed carefully on the basis of historical and physical data. Mark Elvin's environmental history of China is a great example (The Retreat of the Elephants: An Environmental History of China). Finally, world historians need to pay particular attention to the mechanisms of influence through which places exchanged cultural and economic material in the long centuries from the development of substantial Mediterranean trade in the ancient world to the shipping lanes of the contemporary world. Trade, the diffusion of ideas through cultural contact and migration, the effects of the book trade, the military logic of colonialism, the advent of organized long-distance communication and travel, the creation of international governance institutions -- these mechanisms of social exchange constitute many of the pathways through which global integration occurs, and their dynamics are worthy of close attention by historians. Significantly, almost all these factors find their way into the work of many recent historians who are taking on the challenge of making sense of the history of the modern world. World historiography is on a very promising trajectory.